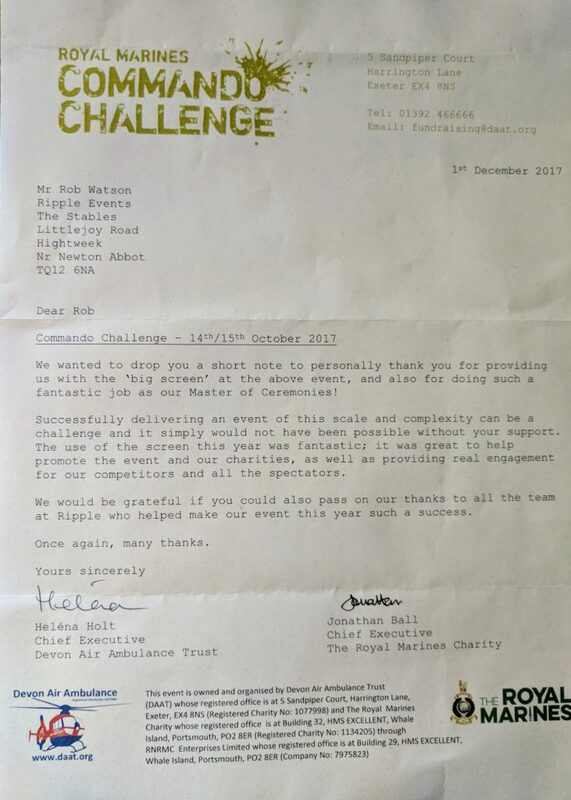 Waggle Events are very proud that our event management services and audio visual support for events and conferences are able to ‘give back’ to local charities through profit share. We were able to share just over £1500 this year with 2 schools and 3 local charities, including the Royal Marines Charity and Devon Air Ambulance. This year we’d like to give back even more, so please do choose to work with us for your events, sportives, fund raisers and conferences. We were able to share just over £1500 this year with 2 schools and 3 local charities, including the Royal Marines Charity and Devon Air Ambulance. Waggle Events are going to Confex 2019 – are you? Confex 2019 is the biggest gathering of event managers, suppliers and speakers in the UK – and Waggle Events have booked a stand at Olympia for the first time. We will be on Stand H37C so please do come to say hello! We will be talking to conference and event organisers as well as venues to see how Waggle Events can help with event management, venue finding and audio visual support. 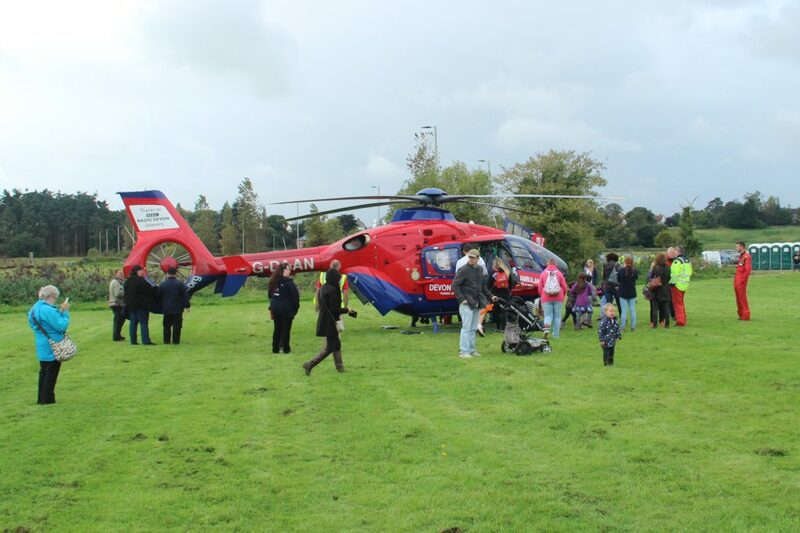 We support charity fundraisers, conferences, sportives and gala-style dinners and ceremonies. In 2019, we are investing in some serously impressive audio-visual equipment to allow us to support even bigger events. We’ll be running a 5m LED screen at the South West Business Expo on Thursday March 15th 2018. Held at Westpoint for the first time, the show looks like it is going to be huge! With nearly 2000 delegates already booked to attend, the organisers are keen to make the event as engaging and succesful as possible. The sponsors, partners and exhibitors have been offered the opportunity to show their information on our 5m LED screen which will be positioned high above the stands. 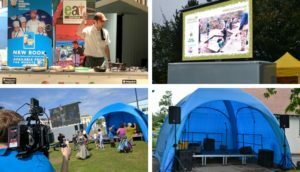 The high profile screen will catch attention and encourage visitors to take part in all the networking activites, talks and demos going on all day, as well as help exhibitors to reach a wider audience. Our stand will be directly below the screen so we will be hard to miss! We are launching our new #WinWithWaggle competition. Simply take a selfie on our stand and tag us with the hashtag as well to enter the competition. Our top prize is a free Spa Day at the Award Winning Ilsington Country House Hotel & Spa. The hotel has been owned and run by the Hassell Family since 1998. Fourth generation, Devon hoteliers with a keen eye for detail and with staff who know how to make you feel at home. Packed with traditional character and a laid back vibe unwind in whatever way takes your fancy. The two beautiful lounges are perfect for a game of afternoon chess and a cream tea (there are three to choose from) or book some pre-dinner spa time either in the pool or with one of the therapists. The panoramic setting is engaging so bring your boots. Impressive Dartmoor National Park is literally on the doorstep and the hotels own ten acres home to a flock of friendly chickens are yours to enjoy. Walk then lunch, cycle then sauna, horse ride then stretch out. The hydrotherapy pool soon eases away any aches and pains, the massages and facials in the Tibetan spa rejuvenate. Awarded two AA rosettes for food, numerous awards for the Spa and recognised in publications such as the Good Hotel Guide. Spend a lazy lunch overlooking the gardens, a family fun packed afternoon playing croquet on the lawn or a long summers evening sharing a bite to eat on the terrace. You’ll find an irresistible combination of country charm, award-winning food, friendly service and unrivalled access to the untamed moor and beautiful countryside here. Looking for tips for putting on a successful event? Waggle Events has LOTS of experience in putting on events and working with event organisers. So whether you’re a charity or a business, arranging a quiz or a 3 day event, we hope these tips will help you make your event even more successful. How ever experienced you are, you’ll enjoy the planning stages much more if you feel things are in hand and organised. For a big event, 4 – 8 months ahead is a good idea. Get the dates and venues booked as soon as you can. For smaller events, 4 – 8 weeks should be fine, assuming you don’t need to book a venue very far ahead. Be very clear what the purpose of the event is and then work out why people would want to take part. You can then use that information to shape your event, budgets and marketing messages. Being very clear from the beginning will really help your planning! Most event planning comes into one of three categories – logistics, marketing and content. If you have a project planner for each of these areas, it will help. Remember to include a backup plan for the key activities because things have a tendency to go wrong! Under logistics, you may need to include signage, furniture, audio visual, flooring, crowd barriers, flowers, stewards, health and safety consultants, marketers, printers, designers, transport, insurance, portaloos, registration and box office and licences including alcohol and music. It is very easy to get carried away with optimism! Have conversation with your colleagues and other event planners about what is realistic in terms of your ambitions for your event. Sound out potential attendees to gauge realist ticket numbers and price points. Construct your budgets around these figures rather than desired numbers, ensuring you can balance the books. You can always add features closer to the event if you sell more tickets than expected. If you can find marketing and PR partners or sponsors, that can be incredibly effective. If at all possible, get other people to take responsibility for specific parts of the event. Use a shared folder to keep track of what is happening and to help communication within your team. You will almost certainly need speakers, microphones and screens of some sort. Make sure you have thought through what you want to achieve and have a good idea of the budget before you ask suppliers to quote. For instance, is the stage the main feature of the event or there to add atmosphere, or will a screen be needed. A good supplier will talk to you about how the event will run so that they can advise you and put the specification together. If the venue is supplying AV, make sure it’s up to the job and that someone will be on hand to set up and help with any problems. Sometimes it feels like the delegates are only interested in the food! Sort out the catering as early on as possible – it can be a costly part of the budget if you’re providing food for an event. It certainly is something the event will be judged by. Remember the large range of dietary considerations you will be expected to cater for. You need a great team that you can trust and rely on to help plan, manage and run the event. Take your time choosing your team because the event will only be as good as the team running it. This applies to volunteers too. Arrange a briefing session and make sure you include some training events for all volunteers and organisers s that everyone is as professional and well informed as possible. On many occasions, the first year of an event will experience a little bit of a honeymoon period. This is especially true with small charity events where friends and extended contact circles are keen to help an organiser with a first-time project. Don’t be tempted to do the first year ‘on the cheap’ to ‘see how it goes’. We are a fickle lot and are unlikely to return year on year unless we enjoyed the last one. If we have a good time at the first event we are likely to return a second time, this gives you time to increase the marketing for the third event which will inevitably see some of the original attendees drop away. Waggle Events have over 20 years of experience in event management so we hope you enjoyed our tips for putting on a successful event. We supply audio visual expertise and equipment for fund raising events, conferences, exhibitions, special events and sportives – in fact, anywhere you need stages, lighting, screens, cameras, speakers and microphones. Get in touch to find out more. We set Waggle Events up because we wanted to support charities directly, through our expertise. When you choose to work with Waggle Events, you can nominate a charity to benefit from a donation from us at the end of our financial year.